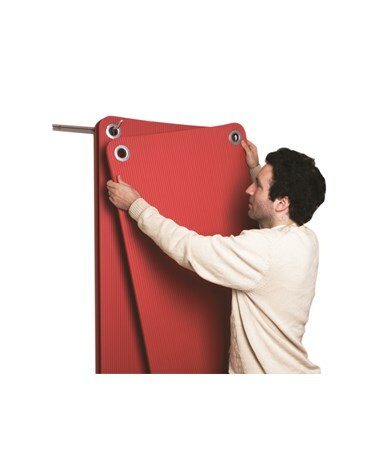 CanDo Wall Mat Hanger can efficiently support up to 10 mats. It's easy to install and set up which makes it perfect to use in fitness centers and rehabilitation centers. The mat hanger has a fully adjustable width to accommodate most mat sizes. It frees up space and keeps the mats in proper shape. It also allows aeration of the mats to prevent odor and mildew.